Get answers to frequent questions about flex fuel cars, how a flex fuel engine works, and the pros and cons of flex fuel vehicles. 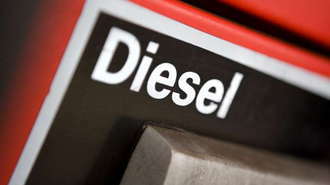 Flex fuel vehicles, as duel fuel vehicles, have an internal combustion engine capable of functioning with a mixture of fuels. Flex fuel vehicles are therefore not the same as bi-fuel vehicles, which have separate tanks for each different fuel type they use. Flex fuel vehicles normally run on a mixture of either ethanol or methanol and gasoline. Burning facility.Possibly the greatest advantage is that the flex fuel vehicle has been designed to burn whatever proportion of mixture is in its combustion chamber. Electronic sensors gauge the blend, while microprocessors adjust the fuel injection and timing. Alternative to oil.Many flex fuel vehicles make use of ethanol, which originates from corn and sugar cane, a viable alternative to purchasing foreign oil. Although the advantages and disadvantages of flex fuel vehicles will be debated for some time to come, one of the most popular fuels for these vehicles, ethanol, is finding favor with many in power positions. More ethanol refining plants are requesting permission to develop additional facilities. Ethanol has moved out of the research phase and may very well be the first alternative fuel to be implemented nationally, which can only count in favor for the continuing popularity of flex fuel vehicles. agree that due to its lower energy content, ethanol will reduce gas mileage and it has been put forward that a driver who is burning 15 percent gasoline and 85 percent ethanol, can expect to see a drop in gas mileage by 5 to 15 percent compared to gasoline usage alone, but more research needs to be conducted. Do Flex Fuel Vehicles Get Better Gas Mileage? Flex fuel gas mileage tends to be somewhat less than standard gasoline mileage. Although if you were to look at the advertising, it would appear that the mileage is the same. About the only thing that is the same or better is the octane rating, as ethanol does raise the octane level. However, since ethanol has at best, an 85 percent energy density, when compared to gasoline, you can see that ethanol does not get better gas mileage. Raising the octane level may increase mileage a bit, but not enough to notice. It has been estimated that an E85 vehicle will achieve about the same gas mileage as a standard vehicle. One last note, during the winter, ethanol is added to gasoline at the pump to raise cold weather octane for any type of vehicle. What is the National Price Per Gallon Average of E85 Gas? E85 gas prices are determined after a mix of 85 percent ethanol and 15 percent gasoline. You should be able to expect a substantial savings at gas stations where E85 is available. For example, the price spread between standard gasoline and E85 is 12 percent. Or, to put this another way, an average gallon of standard gasoline was about $2.90 in most local markets, while the average price of a gallon of E85 is now averaging about $2.52 per gallon. That's quite a savings, and it points out the reason that cars with a "multi-fuel" logo on the rear, or an "E85" logo means that particular vehicle will be in demand. How can I find a Flex Fuel Gas Station? You can find a flex fuel gas station on the Internet, as a whole list of stations are available here. It is being expanded all the time as more E85 cars come online. E85 fuel is a mixture of 85 percent denatured ethanol and 15 percent gas. This combination not only enhances the emissions characteristics of the vehicle, but a manufacturer does not have to make any wholesale changes to the vehicles. Other than swapping out a few lines that may be impacted by ethanol. Most of the major brands of gasoline already offer E85 gasoline, such as Shell, ExxonMobil and even Citgo. You can also use Internet listings such as E85vehicles.com and E85locator.net.